We spoke little as we hurried through the streets of Jerusalem. Slivers of warm sunlight were already piercing the dying darkness as the long night fled away. I pulled my cloak tightly around my face as if to protect myself against the harsh realities coming daylight would bring. Between us we carried the oil and the spices specially purchased for the task that lay ahead: Mary with her jar of olive oil, Joanna with the myrrh, and I with the finest spikenard I could find in the marketplace. 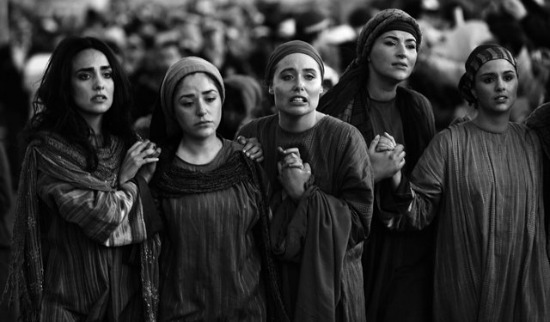 Each one of us, and the other women in our company, had understood it must be us, the women, who would carry out this last act of worship for Yeshua. Had we not stood, alongside His mother, there on that desolate hill while He was lifted up on that cruel Roman stake? Were we not eye witnesses to His suffering, His humiliation and His final breath? We had remained together as always, silent observers, and no man stood with us save John. I had listened while the men argued on the road about which of them was greater. I had heard of Peter’s boast that he would even die with Yeshua. Yet where were our brothers while we huddled in unspeakable anguish watching Yeshua’s execution? But such is the way of men. And afterward, again we had observed in silence, following the two wealthy citizens as they removed His body to the tomb, hurriedly wrapping it in crudely anointed linen for fear of the Sabbath overtaking them. Why had they not openly declared their allegiance to Yeshua while He was alive, and joined our company? Why had they come after the crowds had moved on, after the soldiers had lost interest, to steal away His broken body secretly? It was then we had agreed on our plan. Yeshua’s body must be properly anointed for burial, and in this matter for once we would not be the silent observers. We were willing to risk our lives to render Him this last act of reverence. Since time unspoken it has been so. Men rule the world, make the big decisions, and jostle for position. But it is women who observe, consider and get on with what must be done. By the time we drew near the tomb the sun was visible on the horizon. Quietly, Joanna asked how we would remove the great stone we had seen rolled across the entranceway. In our urgent desire to anoint Yeshua’s body we had not considered such a practicality. While we pondered, the earth beneath our feet shook violently and unexpectedly, causing each of us to fall to the ground. Afraid and shaken we rose and continued on our way. Nothing must keep us from what we had determined in our hearts. The scene before us as we arrived at the tomb’s entrance halted us abruptly. Three Roman guards were lying unconscious among the trees, but it was not this that arrested our attention. The great stone had somehow been moved and the tomb lay open before us. My heart pounding like a beating drum I stepped slowly through the tomb’s entrance, the others following, but Yeshua was not within. Before any of us could speak, a man, I knew not from where, stood by us. “Don’t be afraid” he told us. “Yeshua is not here. He is risen. Go, tell His disciples.” Other things he said to us also but I could not take in his words for fear and shock. Trembling and uttering not a word to one another we backed out of the tomb, each of us heading as fast as we could towards the house where we knew Peter and the others were gathered. Questions beyond my understanding crowded my mind and gave speed to my feet. Perhaps the men would have some explanation for the confusing events of the morning. Outrunning the other women I burst, breathless, into the house. Locating Peter and John I struggled to compose myself. “They have taken the Lord from the tomb, and we do not know where they have laid Him!” I blurted. Others eyed me dismissively, glancing knowingly at one another and whispering about the foolishness of women. Peter and John, however, looked wordlessly at each other with alarm, then took off running. Still breathless I followed, unable to keep pace with them, but compelled by the growing realization that someone had removed Yeshua’s body from the tomb. Could it be the members of the Sanhedrin, the Romans, or tomb robbers? No matter, whoever it was, we must know where they had taken Him! Both men had entered the tomb by the time I arrived. Their suntanned faces paler than I had ever known them to be, they emerged, glanced at me and left hurriedly, no doubt to confer with the other nine. Alone now, the aching sorrow that had been threatening to overwhelm me for almost three days rose like the squalls that blow without warning on Gennesaret. A sudden torrent of grief and shock swept over my weary body, draining all remaining strength. So deliberately had I kept myself busy, first with Sabbath duties and then with the preparations for anointing Yeshua’s body. For the sake of the other women, I had reasoned, I must show strength in this terrible hour. I had put from my mind lingering visions of His crucifixion….the nails, the blood, the tearing thorns pressing into His brow. Just as determinedly, I had pushed aside memories of our first encounter when He had delivered me of my devilish tormenters. I had refused to think on the hope that had grown in me as He taught us of His coming Kingdom, lest sorrow overwhelm me beyond reason. I would hold the crushing sorrow at bay, defer my gnawing grief, until afterwards when all that could be done was done. Then, I knew, I must give place to a depth of heartbreak I had never known before. Now that heartbreak was here, before I wanted it, and I had no strength left in me to resist. Surrendering, I lay sobbing on the ground, shaking uncontrollably. It was not enough that my Lord had been unjustly executed, and had been buried by strangers, but now we had been robbed of His body and denied the chance to render Him this last small act of devotion. They had taken Him, and I knew not where to find Him. For me not to be able to be able to follow Yeshua was unbearable beyond words. “Why are you weeping woman?” came a voice from inside the empty tomb. Rising slowly to my feet I looked and beheld two men in white. I cared not who they were or what they might do to me now. Whatever befell me for following Yeshua, I would not deny Him. Defiantly I answered: “It is because they have taken away my Lord, and I don’t know where they’ve taken Him.” Yes, let them know and understand that Yeshua was still my Lord, and I would not turn back even though they kill me as they killed Him. He had given me back my life and in return I had vowed to serve Him till my dying breath. Let God determine my fate, for without Yeshua life would not be life. Another voice then, from behind me this time: “Woman, why are you weeping? Who are you looking for?” Turning to a man I assumed to be a gardener I hardly looked up. My eyes swollen from weeping, my voice quivering, I answered: “Sir, if you have carried Him away, tell me where you have laid Him, and I will take Him away”. I knew that I, a woman trespassing in the garden of a wealthy man, risked being brought before the authorities for my audacity. But love and desperation compelled me. Even if no other disciple came with me I must locate Yeshua’s body and somehow convey Him to a safe place where He could lie undisturbed. “Mary!” The unexpected familiarity of the voice startled me. Could it be that such deep grief had deluded my mind? Dare I look at that face? But I must. No one but One had ever spoken my name like that. Reason told me I was sick with heartbreak, but something else told me I had never heard anything more clearly. Turning again, my eyes desperately seeking the eyes of the One whose voice had uttered my name, I looked fully upon that Face…that Face that I had so recently seen contorted in pain and anguish. It was indeed Yeshua, not bloodied and beaten, but joyful and glowing with the vibrancy of life! I had come to the garden in mourning bearing oils and spices to anoint the dead. Instead, through some divine mystery for which I have no words, I found Life. Surely whatever has transpired this day can never be reversed. This day is the first glorious day of forever! First published on Bread for the Bride. © Cheryl McGrath, Bread for the Bride, 2014 and beyond. Copyright Notice: Permission is granted to freely reproduce any Bread for the Bride articles in emails or internet blogs, unaltered, and providing this copyright notice is included. To permanently display an article on any static website please contact me for permission. Footnote on Mary Magdalene: Mary was called Magdalene after Magdala, the Galilean town she came from. We may assume Mary from Magdala was an unmarried woman, otherwise normal practice would be to name her as ‘wife of………”. Church tradition has grown up around Mary from Magdala suggesting she was a former prostitute. However, neither the Bible nor historical records give any indication this was the case. She has often been confused with the woman caught in adultery in John 8:1-11 or the woman ‘who was a sinner’ from Luke 7:37-48, but this confusion came into the church from non-Biblical sources and has been perpetuated throughout history through art, literature, Hollywood movies and such theatrical shows as “Jesus Christ Superstar”. In fact there is no Biblical passage at all that indicates Mary of Magdala had ever been a prostitute. We do know from scripture she had been tormented by seven demons. Around the sixth century, the Catholic Church under Pope Gregory began to identify Mary Magdalene as a woman of loose morals because they equated her demonic oppression with sexual uncleanness. Jesus, however, always distinguished demonization from wilful sin. He rebuked sin and delivered the demonized. Prior to her healing and deliverance, Mary could well have been suffering from what would now be identified as any one of several mental illnesses, or some form of self-destructive behaviour. There is absolutely no Biblical basis for assuming she was a prostitute. Another thing we can surmise about Mary is that she was a woman of financial independence since she was free to contribute to the itinerant ministry of Jesus and the twelve. Mary was not only among the ‘many women’ disciples of Jesus who stayed with Him at His crucifixion (Matthew 27:55), she is the only person mentioned in the gospels who witnessed Christ’s death, His burial and His resurrection (Mark 15:40; Matthew 27:56, John 19:25). She was chosen by Jesus to be the first disciple He revealed Himself to after His resurrection and the first one sent with the gospel of salvation.